The latest round of charter applications have been announced, and as NJ Spotlight's John Mooney points out, New Jersey charters have become entirely an urban affair, with an ever increasing number of state and national Charter Management Organizations (CMOs) throwing their hats into the ring. It hasn't escaped Mooney that this is a whole lot of applications - 40 to be precise - even though the last round of 38 yielded only three approvals. Let's hope a change of Commissioner doesn't bring a return to the early days of the Christie administration when 23 applications were approved in a single round. As I peruse the list of applications, and compare it with the last years circus-like spring applications, this round is not nearly as controversial. 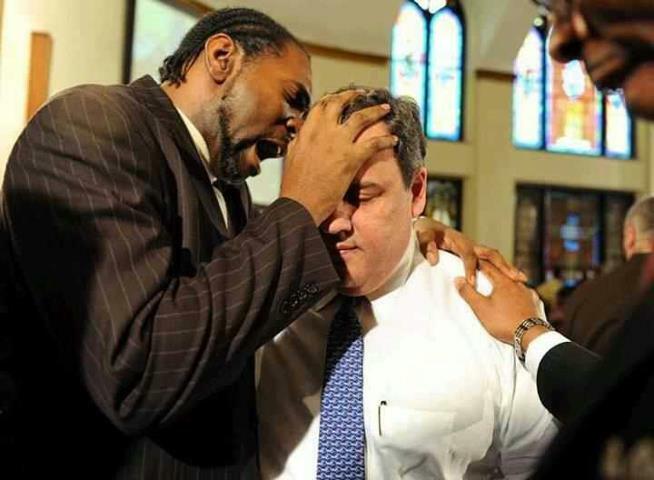 There is no Pastor McDuffie laying hands on the Governor and no return of former Assemblyman and Washington Township Mayor Gerald Luongo, who served time in federal prison for diverting campaign funds and charity money into his own pockets. While this year's applications may not be full on Big Top material, there is one that caught my attention in the last application cycle, and has come back for a second try. Mooney listed the application submitted by College Achieve as one of many "larger education management organizations," but College Achieve does not have a single operating charter school in New Jersey, or any other state for that matter. In fact, College Achieve applied for a charter for the first time in 2013. But I will concede that the lead founder on the application, Mike Piscal, has been around the charter block a time or two, and has been involved with other CMOs. Piscal has Jersey roots, but his greatest claim to fame came in Los Angeles. His first gig in LA was at the prestigious Harvard-Westlake School, "the destination for many children of L.A.'s business and entertainment elite." According to Caitlin Flanagan, one of Piscal's colleagues from Harvard-Westlake, Piscal was convinced he could recreate the education experiences of the children of LA's elite for the children in the toughest neighborhoods of South Central LA. A laudable goal, for certain. I viewed the subject of American public education as complex; he saw it as simple. It would have been an endless conversation between two friends if he hadn't taken matters out of the realm of the theoretical. He quit his job, put $40,000 of debt on his credit card and started something called the Inner City Education Foundation, which has become one of those charter school miracles that makes you question everything you've ever believed about the intractable nature of poverty in urban America. Inner City Education Foundation (ICEF) charters have been held up as miracle schools that close the achievement gap and send almost all kids to college, and Piscal has been heralded as an altruistic miracle worker with a big heart. Consisting of 15 schools in a once academically blighted area of south Los Angeles and with an 88% African American enrollment, ICEF has done what we are always told is impossible. All five of its elementary schools have eliminated the achievement gap in reading for its African American students. Eliminated it. That fact alone should cause the Department of Education to send a team of researchers to ICEF this afternoon and to keep them there until they learn what Mike's doing. This Good Morning America segment about Piscal/ICEF demonstrates just how hard this supposed LA miracle story was being sold on the national stage. @ 4:55 - Mike Piscal: We can't fail - no matter how tough the times are - they might slow us down a little bit, but we can't fail. But sadly for Piscal, as we've seen time and time again, miracle schools not only can fail, they often do, usually because they were never truly miraculous to begin with. In September of 2010, after reading Flanagan's Piscal/ICEF love fest, Aaron Pallas, Professor of Sociology and Education at Teachers College, Columbia University, who also happened to be a statistician at the National Center for Education Statistics in the U.S. Department of Education, thoroughly debunked the ICEF miracle school claim. I’ll admit it: When I hear the phrase “charter school miracle,” my antennae go up. It’s not that I think that charter schools can’t possibly be good schools, or that they cannot surpass traditional public schools in the measured achievements of their students. The evidence is pretty clear that there are many fine charter schools, just as there are many struggling charter schools. No, it’s that I think miracles are exceedingly rare phenomena. And the current narrative about miracles in school reform relies heavily on a “great man” theory, replete with outsized personalities. But no one looking at this figure would conclude that the ICEF elementary schools have come close to eliminating the achievement gap that separates the test scores of African-American and Latino children from white children in Los Angeles. Test scores are, to be sure, a very narrow representation of what children are learning in school, and I would never want to base a judgment about the quality of ICEF schools, or any other schools for that matter, solely on test scores. 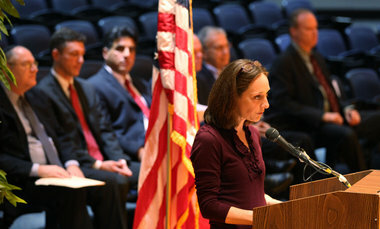 But Flanagan flew the achievement-gap flag, and her claims don’t hold up under scrutiny. In the very same month Pallas wrote this piece it became very clear that not only were ICEF schools not the miracles they were portrayed to be, there were very real problems at ICEF that threatened their very existence. The downward spiral was chronicled by Los Angeles Times writer Howard Blume. A group of the city's leading philanthropists, including billionaire Eli Broad and former mayor Richard Riordan, rallied Monday to save ICEF Public Schools, one of the nation's largest and most successful charter school companies, which was teetering on financial insolvency. ICEF, which operates 15 schools in low-income minority neighborhoods of Los Angeles, was virtually out of cash, unlikely to meet its Oct. 1 payroll. The nonprofit faced a $2-million deficit in the current budget year as well as substantial long-term debt. The collapse of ICEF would have been a blow to the charter movement and to the 4,500 students and several hundred employees of an organization whose results have impressed many observers. Charters are independently run public schools that are free from many regulations that govern traditional schools. ICEF representatives and others said the group's budget problems were caused by insufficient reserves; an overly ambitious expansion — 11 new schools in three years — that resulted in costly debt; and a reluctance to make cuts affecting students. These factors were exacerbated by the recession, which sharply reduced state funding to schools, and this year's late state budget, which has delayed payments to schools. The rescue plan that emerged Monday was less disruptive than one under discussion as recently as Sunday. That plan would have broken up ICEF, distributed schools and students among other charter schools and forced out founder Mike Piscal. Well, so much for Piscal's theory that ICEF was infallible. Another report detailed the extent of ICEF's financial troubles. Young said there was no evidence of malfeasance but substantial bad judgment and a lack of transparency with ICEF’s finances. Kind of sounds like Piscal was less than forthright about the downward spiral ICEF was in, and the ICEF board had to unearth the dysfunction for themselves. And while it may have appeared for a short time that Piscal was going to ride out the storm, he ultimately resigned, and it became clear that ICEF's troubles were not just financial. School Board member Steve Zimmer stated LAUSD would not pledge financial assistance until ICEF "serves more disabled students and English learners." Parents complained that ICEF's operations were "too secretive" and employees reported there were supply shortages and they were asked to work extra time without compensation. The bottom line - Piscal had to leave a charter chain he built up and then ran into the ground, and without a bailout from Eli Broad and others, it would have gone belly up completely. Piscal's chartering days were far from over. He made his way to Las Vegas, where in his infinite wisdom Andre Agassi made Piscal the Executive Director of his controversial charter school. Agassi has big plans; Diane Ravitch has reported that Agassi has amassed 750 million to create a chain of charters nationwide. This despite a laundry list of scandals at Agassi's Vegas charter, from troubling allegations of excessive teacher and administrative turnover, to more run of the mill cheating accusations to unbelievable charges that a teacher was the leader of a prostitution ring. It's unclear when or why Piscal cashed in his chips and left Vegas, but as recently as May of 2013 he was still reportedly running the show at Agassi Prep but in October of 2013 he applied to open College Achieve in New Jersey. While the application made it through the first round, it was ultimately denied, much to the chagrin of Piscal, who posted a letter to prospective parents on the website he started for the fledgling charter. We received notice from the New Jersey Department of Education (NJDOE) that our application to open a charter school in September 2014 was denied. As difficult as this is to believe, we have explored the appeal option and decided that it is not viable. As much as we disagree with the NJDOE's decision, we must respect the process. This does not mean we are giving up. In our meetings with you, formally at the Plainfield library, and informally as we have canvassed the entire city, we have heard over and over again that Plainfield parents want more choice, and that your children need more options. Inspired by this, we are reapplying on March 31, 2014 for a September 2015 opening. We will find out September 30th, 2014 if we have been approved for September 2015. Please feel free to e-mail me or Rachelle Nelson, our founding principal, with any questions you have or to express support for our application at mpiscal@collegeachieve.org or rnelson@collegeachieve.org. Perusing the website is telling. Piscal relies heavily on his time at ICEF to sell the idea that he has the right stuff to open a charter in New Jersey. 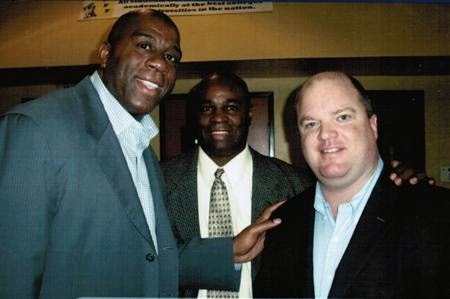 There are pictures of Piscal with Magic Johnson, and links to glowing stories of ICEF's miracle school status. to get a charter, right? But of course there is no reference to or mention of the financial upheaval at ICEF which lead to his ouster. In my research into Piscal's history and new venture I found some very interesting documents, including the incorporation papers for his new non-profit. The document reveals not only that Piscal is not going into the next chapter in his career alone, but that he's brought the central cast of characters from ICEF along for the cross-country ride. Listed on the incorporation papers are the names of three individuals who will be the "initial board of trustees." Two of the three are John J. Piscal and Stephen C. Smith. Not hard to guess that John Piscal is related to Mike Piscal. What you have to dig around to find out though is that John worked for Mike at ICEF. In fact, he was the CFO from 2001 to 2007, and later served as the "Chief Development Officer." In 2008, John stepped into the role of Chief Development Officer tasked with the role of developing new streams of income from private and public sources; developing an annual fundraising campaign that equals no less than 5% of ICEF’s annual budget; and launching an endowment drive of $30 million. Remember that ICEF's rapid expansion, dwindling reserves, and a decline in philanthropic investment were central to their financial failings. Mike's brother John sure seems to have helped steer the ICEF ship into the financial iceberg that eventually sank it. And who is Stephen C. Smith? This is where it starts to get really interesting. Smith is a co-founder of the Seaport Group, a "boutique investment bank." Smith also just so happened to be the Chairman of the Board of ICEF. Smith is still listed as a "supporter" of ICEF on their website, having "donated" over $500,000, but ICEF's 2010 990 seems to indicate the money was less of a gift and more of a loan. Chairman of the ICEF Board), and 120,000 from another Piscal relative. Seems maybe Smith, then Chairman of the Board, knew the financial mess ICEF was in, and wasn't willing to throw money in without making sure he was going to be able to get it back out. For his efforts Smith was showered with gratitude at a "star studded gala" to raise funds for ICEF and Success Through the Arts Foundation, which was co-founded by Jackson Browne, who is also on the ICEF Board. "No single artist has done more for arts education and public education in general for more years than Jackson Browne," say Michael Piscal, ICEF's co-founder and CEO, and Fernando Pullum, board member of Success Through the Arts Foundation. Well, good to know we have Smith to thank for the birth of the 'education entrepreneur', isn't it? College Achieve is the brainchild of the three men at the heart of the financial downfall of ICEF, Mike and John Piscal, and Stephen Smith, and the combined resumes of these three gentlemen certainly leads me to believe that College Achieve is far more of a business venture than an educational endeavor. And while Smith may be willing to help finance the re-birth of Piscal in New Jersey as an 'education entrepreneur' after his fall from grace in Los Angeles, I'm not sure the taxpayers of New Jersey will be so willing to forgive and forget now that they know the cold, hard facts about their checkered pasts.